Datawaslost : DWL052 : Coltrane Motion - Hello Ambition! 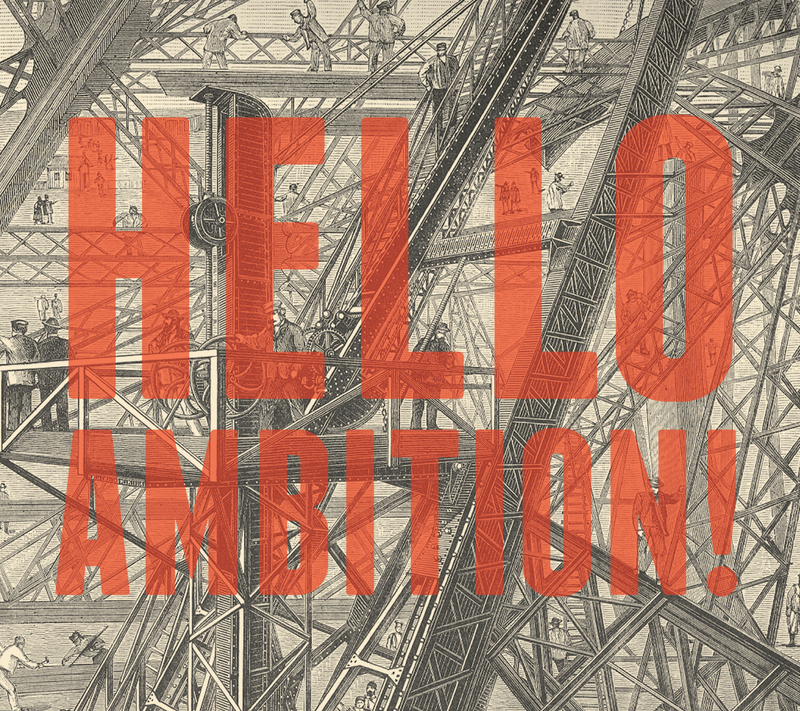 Coltrane Motion : Hello Ambition! DWL052 . Released June 1, 2010 . Add to Cart : $12 . iTunes . eMusic Description The second full-length from Coltrane Motion takes the Chicago duo's dance-and-drone formula to the next level, smothering sunburnt melodies in a haze of distorted guitar and swirling organ. Fuzzed-out drum loops and analog synths tear through the thick shoegazer fog, leaving behind a raucous mess of pulsing, noisy psych-pop. Reviews Coltrane Motion are amongst the city's best of the rising crop of shoegazers - including Panda Riot and Tirra Lirra - to introduce a dance element to the subgenre's typical swath of gauzy guitars. 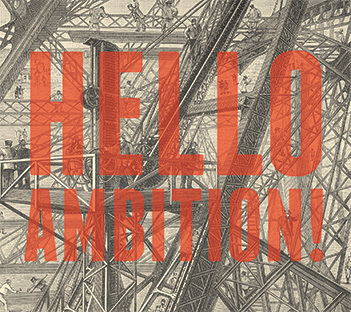 Such a development can be heard in Coltrane Motion's upcoming June release Hello Ambition!, the title of which should give you an idea of where the band wants to go with its blend of upbeat electronica and psychedelic ambiance..
Really into this band: hazy guitars, slightly-off-key vocals make for slacked-out indie rock. What makes this work for me is how scuzzy the guitars sound, fuzzed out and quivering, like old school Yo La Tengo. Sounds like a shoegazing geek lost in the middle of a James Murphy DJ set. It other words it's a wall of sound with repetitive beats.. They've done a good job at it as these guys create super danceable grooves with a strong sense of melody and more pedal usage than a car. It's fantastic stuff that unites two distinct camps in a way that Curve used to all the time. Album opener 'When We Were Old' begins in a squall of electronic feedback and morphs into fuzzed up second track 'Maya Blue' without as much as a blink. It's apparent that Coltrane Motion's antecedents do originate in the DreamPop world, developing as they do a sound as swirling and ethereal as anything in the Slowdive and Chapterhouse back catalogues and which make for a slight contrast with the jittering guitars of 'I Forgot There Was A War On' and the verging on sambaesque rhythms of 'Wherever This Is', while the distorted grind of 'Terra' has the duo (Michael Bond and Matt Dennewitz) venturing into deeper psycheout territories, and writing a minor masterpiece of Dronerock in the process. 'High Tide' adds a more soulful vibe to its predecessor and its around here that I realised that the 10 songs on Hello Ambition function sequentially in terms of both style and arrangement.. Hello Ambition is, in its entirety, a skilfully structured and occasionally brilliant record that quite spectacularly manages to sound like the perfect summer soundtrack album, throughout all of its twists of style and instrumentation.. Coltrane Motion are, importantly, taking some already imaginative ideas more than one step forward and Hello Ambition contains more than one moment of startling invention, a lot more than one. Goodbye boredom. Their beats are foggy and heavy, decorating songs that range from baroque Sixties suggestions to fuzzy dreampop without the necessarily low fidelity, covered where required in organ, distortion and drone like Stereolab attempting to play Nuggets garage psychedelia. Coltrane. You will find no jazz here. Motion. Delivered, both in the music (the second full-length release appropriately titled Hello Ambition!) and in their live performance. The music, provided here via the tracks 'I Forgot There Was a War On' and 'Please Call It a Comeback', speak to you for themselves, but your Coltrane Motion experience will not be complete until you stand in front of them and watch helplessly as the live madness unfolds before your eyes and ears. Coltrane Motion stands out, performing their music flawlessly while simultaneously executing perfect jumps, twitching and knocking their knees and giving the ballerinas a run for their money with their releves. Filling a sweet but neglected niche, CM mixes hovering, hazy synths with kinetic beats and some really inspired pop songwriting. Like a Saturday spent outside in the sun, it's the combination of laid-back meandering and easy energy that makes the band's sound so appealing. Judging from their name, you�d expect Coltrane Motion to sound like a combination of Albert Ayler and Dizzee Rascal. But there�s no sign of A Love Supreme in their song 'I Forgot There Was A War On,' though it certainly has a bit Dizzee�s grimey groove.. If you�re familiar with the Jacob Fred Jazz Odyssey, the soundtrack to the adventures of Frostbite Falls and enjoy the idea of dancing semi-naked to Talking Heads� Remain In Light (with or without the shades drawn), then you already know you like Coltrane Motion.